The original shop, which was in Birmingham (UK), was opened in 1972 although our experience goes back to earlier times. Our first shop was at Five Ways Edgbaston hence the name of the company. We moved to our present shop in 2004. We have a demonstration room where visitors may audition our favourites but increasingly we are dealing with customers who are too far away to travel to our shop. 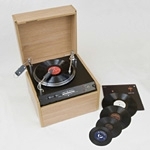 Today there are many parts of the UK which are no longer served by true hi-fi specialists. In such cases we do our best to help on the telephone and are happy to supply by mail order. The number of specialized retailers with proper audio engineering knowledge and expertise is now very small, so we commonly get visitors from more than 100 miles away. We have worked closely with AVI for more than 20 years. For most of that time AVI made hi-fi separates. These were world class products and still have an enviable reputation. Some of these ikonic products are illustrated on this page but are now only available second hand. Around ten years ago AVI realized that new hi-fi separates would soon cease to be the best way of doing the job. New separates were heading for failure on cost effectiveness grounds and would be likely to fall below critical mass in terms of demand. AVI took the bold step of discontinuing all its separates (amplifiers, tuners, CD players, passive loudspeakers) in favour of the newly developed ADM9s. These were active loudspeakers. They had an amplifier for each drive unit, built in top class DAC (digital to analogue converter), USB connection and remote control volume. Later they had two digital inputs and one analogue input. The hi-fi market has changed hugely in the last 20 years. In the seventies and early eighties the hi-fi system was the aspirational consumer durable and generally all the rage. Whether we like it or not the term "hi-fi" has passed into general usage for describing any domestic sound system. It is short for "high fidelity" which was first used in this context over fifty years ago when enthusiasts who were disappointed by the poor standards of reproduction provided by mass market products wanted to produce results which were much better. By the turn of the century hi-fi in the original sense had become a niche market for connoisseurs appealing only to those who value high quality sound reproduction (music or other programme material) or have an interest in the equipment, past or present, which is used to achieve it. Faithful and realistic reproduction of musical instruments and human voices (or indeed any other acoustic event) continues to be a worthy and useful objective but it deserves a wider audience today especially as equipment costs can be lower in real terms if informed choices are made. What is also interesting is that today there is a divergence from the "high-fidelity" concept at both ends of the price scale. Some ultra expensive equipment available today sounds dire and in no sense addresses the "high-fidelity" issue. Some is so bad that it puts people off hi-fi for ever. The new century has seen huge developments in sourcing and storing program material digitally. 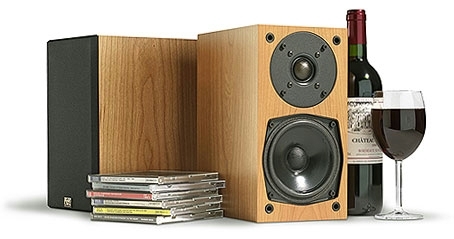 Nevertheless, music libraries stored on computers and iPods still need first rate amplifiers and loudspeakers for the best results. Sometimes a separate DAC is also required. This is usually where the one built into the computer isn't good enough. It is worth pointing out that an iPod with files recorded in "lossless" and using its on board DAC gives results comparable with CD players. That's how much things have changed. We feel it is very important to embrace and incorporate these new technologies. We have no problem combining modern digital sources with classic separates systems. We cover sound reproduction issues from vintage to leading edge. 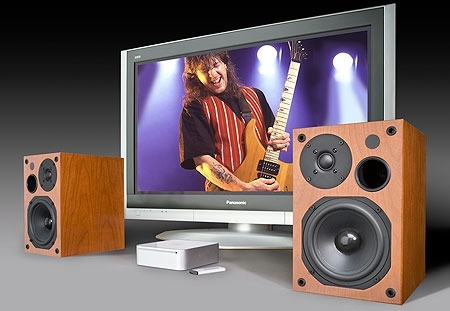 We have a comprehensive portfolio of suppliers to cover domestic hi-fi. We try to recommend the best equipment for the job in hand and if this turns out to be something we don't sell we'll say so. 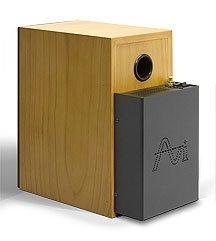 AVI, with both electronics and loudspeakers, has been our most important supplier for more than 20 years. This is because their products have not been surpassed at or near their prices and in some cases it is uncertain as to whether they were or are beaten at any price. AVI products have always been "reference grade". If other products were available which gave better value at the same prices we'd be wanting to sell those products instead. CLASSIC AND VINTAGE HI-FI EQUIPMENT AND ITS UTILITY. SOME NEW VERSUS OLD ISSUES. Solid state amplifiers. These were mature technology by the 1990s and some good examples were made in the previous 30 years or so. This means that carefully chosen second hand amplifiers are usually more cost effective than new ones of similar performance. Furthermore, when no longer wanted they may be resold for about the same as their purchase prices whereas new amplifiers often struggle to achieve half their original cost. It's worth remembering that much development has had more to do with reducing production costs than improving performance. Valve Amplifiers. Power amplifiers were fully developed before 1960. From then onwards it was simply a matter of execution rather than design. Modern resistors and capacitors are better and then, as now, the results were very dependent on the output transformers which were and are expensive components. Rebuilding old valve amplifiers using modern resistors and capacitors is a good idea. For those who want to use valve power amplifiers classic examples are very cost effective. Some of them have ikonic status and consequently are sought after by collectors as well as users. They are usually resellable for around the purchase price and sometimes more. Vintage valve pre-amplifiers have not aged so well. By modern standards the signal to noise ratios tend to be challenged and the mechanical switching tends to be noisy. It is common practice today to partner valve power amplifiers with solid state pre-amplifiers. Loudspeakers. Passive moving coil loudspeaker technology topped out around 1980. There has been no significant development since then. 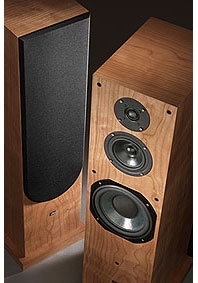 Passive loudspeakers are the ones driven by external separate amplifiers and include the vast majority of domestic hi-fi loudspeakers.This technology is now obsolescent (but not obsolete) for the very highest standards of sound reproduction at least in terms of production of new equipment. This is because active loudspeaker technology is more cost effective (the section below on AVI covers this subject further). A given standard of performance can be achieved at lower cost by using active technology than by using stand alone separate amplifiers and loudspeakers. 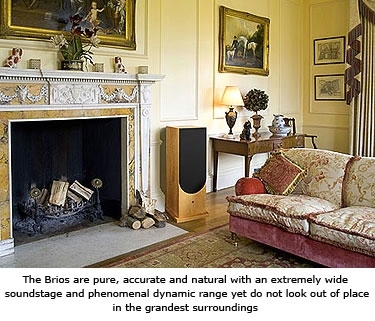 Despite this uncomfortable truth, some classics give a very high standard of performance as do the best examples of new passive loudspeakers, provided, of course, that good amplification is used. This is a case of the most refined versions of the earlier technology versus the new. All passive loudspeaker systems need passive crossover networks and these are always a problem. Active loudspeakers avoid this by using a different approach. Drive unit behaviour is of course a problem with both technologies as is cabinet behaviour. 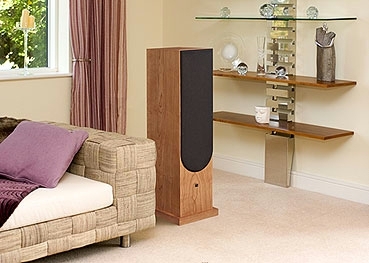 In general any new (passive) loudspeakers providing the very highest standards of performance will not compete easily with classics such as restored BC1s (see link below) in respect of cost effectiveness. There is a noteable exception. This is where very compact passive loudspeakers of the very highest standards are required. For such applications we recommend the Chartwell/Graham LS3/5 which is a BBC licensed design. With some second hand LS3/5as now making well over £1000 a pair the new LS3/5s from Chartwell/Graham are something of a bargain at £1750 a pair. Larger loudspeakers which could replace BC1s and have the same attention to detail start at around £3500. We can supply the Chartwell/Graham LS5/9 at £3450 per pair. This is another BBC licensed design. To be fair, it can be driven louder than the BC1 and is more robust. It is also a bit smaller than the BC1. It is a very accomplished design which carries our full recommendation in respect of both performance and build quality. This model is a good choice where "only new will do".There is now a very good new model form Chartwell/Graham at £2195. This is the LS6. The LS5/8 continues at £6995. Where passive loudspeakers are required for whatever reason the Chartwell/Graham range is a hard act to follow. Record players. Here we can make a stonger case for buying new. It isn't that there are no good old record playing decks. It's quite the reverse. One problem is that of the good ones some have achieved an ikonic status which goes way beyond their engineering merit and utility. Another is that because of the general strong interest in playing vinyl few second hand decks are coming to the market. For new decks costing less than £1000 we recommend three options from Project at respectively £349, £449 and £899. All three are supplied with cartridges included in the prices and are set up by us before delivery. Others are available from Thorens, Michell, SME etc. Phono stages. These are pre-amplifiers which bring pick up cartridge signals up to line level and also apply the RIAA correction to the frequency response. They are commonly stand alone devices and have been for some years. They are also found within some amplifiers and pre-amplifiers where they fulfil the same function.These integral phono stages are not generally of the highest standard and while OK for casual use are generally not good enough to satisfy the serious vinyl enthusiast. For serious use we recommend a new stand alone device. In the £50 - £300 range we favour Project models. Above that range we recommend Lehman. We are very familiar with classic and vintage hi-fi equipment and know the practicality of the various options. In this respect we particularly like Quad and AVI amplifiers because they rate highly in the utilitarian sense but are also well supported in respect of service and repairs. We always like to have examples available (indirectly, see link below) from both ranges, including Quad valve amplifiers. With loudspeakers we particularly like Spendor BC1s (hard to beat for accuracy and realism), AVI Neutrons (good compacts), AVI Pro9+s (very capable bookshelf speakers), Quad ESL 57s (because of what they are) and the Klipsch Heresy (not for accuracy and realism but for robustness, loudness, portability and friendly sound). There are other loudspeakers from the past which are worth considering but that's our short list. For second hand items please follow the link below. For people who want a seriously good and cost effective separates system it makes sense to do it using well chosen classic product rather than new (but possibly with a new record playing deck). An exception is the aforementioned LS3/5 for cases where space saving and compactness are issues. At the "budget" level there is a plentiful supply of amplifiers, receivers, CD players and loudspeakers at almost nominal cost. At higher levels for new equipment active loudspeakers are likely to make sense especially where cost effectiveness is an issue. 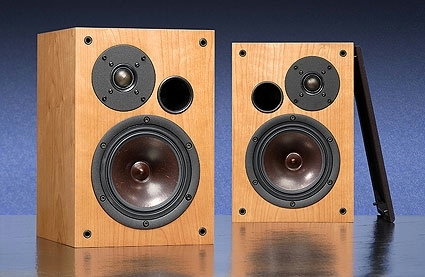 There's a handful of currently produced passive loudspeakers which gives a standard of performance we like but in almost all cases these loudspeakers are considerably more expensive than equivalent classics or AVI DM10s. Again the LS3/5 is an exception. S/H amplification by AVI (2000 series pre/power combinations from the 1990s or LAB Series models from the 2000s) is good enough for anything. The Quad 303 is a very good power amplifier despite being an old design. A Quad 33 in a good state of service is OK for line level signals but a bit challenged on phono. Quad 44 is a bit better and of course much more versatile and flexible. 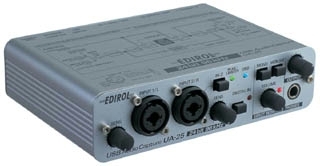 Adding an Edirol UA55 (see below) to a classic separates set up makes a very capable system which can handle digital signals from music files on a computer as well as permit creation of digital files from analogue program material. These devices connect to a system as would a cassette deck. A carefully chosen classic/vintage separates system is not only very versatile but would have a charm not shared by any new equipment. New electronic items tend to compare very unfavourably with carefully chosen classic items where repairability is concerned. They are more complex and usually not made with repairability in mind. Some of the ikonic products from the past also bring aesthetic satisfaction being pleasing examples of commercial/industrial design. Where required the addition of a new CD player to a vintage system is not a problem. Whether customers favour the passive or the active approach we have it covered. Likewise with both new and classic equipment. FIVE WAYS HI-FIDELITY LTD supplies only new equipment. I have another business which is completely separate and deals only with classic, vintage, and other pre-owned items. WHO IS AVI'S OLDEST DEALER? We are. We recognized the merits of AVI products and AVI's approach to sound reproduction on day one. We have worked closely with AVI ever since. We supply AVI products with complete confidence both at home and abroad. The advantage of buying AVI products from us is our unique technical support. This is particularly strong in the arenas of record playing and transcription. Because of their extreme cost effectiveness AVI products are incompatible with the policies and practices of most hi-fi retailers. We could not assemble from new conventional hi-fi separates at several times the price a system to outperform DM10s and we are supposed to know what we are doing. This is not good news for traditional hi-fi manufacturers and something of an inconvenience for the magazines. Today the cost of a high quality sound reproduction system need be only a fraction of what it was (in real terms). AVI became dissatisfied with its UK dealer network and decided to dispense with most of it. AVI now supplies end users through a small number (about seven on the last count) of independant retailers who support AVI and understand the products. We are one of these dealers and we work very closely with AVI. This is the latest and final version of the ADM9. It has two optical inputs and one analogue input. It has upgraded analogue electronics and a 24/192 DAC giving access to the higher bit rate program material which is available from non-CD sources. Where a computer or TV screen is used for display, an ADM9 system becomes a media centre as DVDs, television, iPlayer etc. could be shown as well as heard to good effect. 1) Real progress in reproduced sound quality. 2) User friendliness with the modern ways of doing things. 3) A smaller number of boxes with much less cabling. This model is no longer available and is superseded by DM10 which has the same features but with some upgrades. 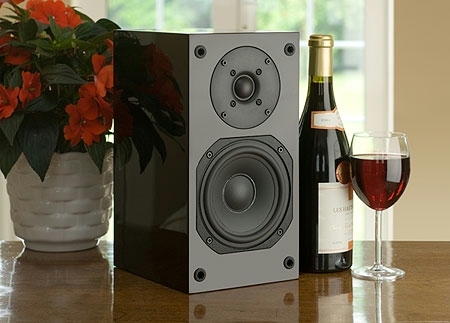 This is an active loudspeaker which is smaller than the ADM9RS and has a line level analogue input only. It is capable of very high sound quality and is compatible with modern and legacy signal sources. A pair of these just needs an analogue signal where the level may be varied e.g. an iPod or a pre-amplifier. Another AVI bargain at £995 per pair. This is a new model. It does not replace the DM10. It is larger and more capable than the DM10. £2995 per pair. Details are now on the AVI web site. More will be added here in due course. The original ADM9s were introduced in spring 2007. These were active loudpeakers with powerful amplification and the ability to provide first class sound quality. It didn't stop there. They had a first rate DAC built in, a USB connector, analogue inputs (L & R) and RC volume as well. All you needed was the addition of a computer to create a seriously good hi-fi system. There were no worries about sound cards and DACs as these issues were resolved by using the USB connection and the DAC in the loudspeakers. The computer provided all radio, download and recording functions making hi-fi separates unnecessary. The ADM9s could even be used with just an iPod. They were something of a breakthrough and were only £1000. They offered sound quality which was better than many separates systems costing several thousand pounds and more as well as providing modern facilities. An alternative version of the ADM9 soon followed with an SPDIF optical input instead of the USB connection. This version had wider connectivity than the USB version (where a computer was essential) and still had an analogue input facility . AVI has taken the already excellent ADM9RS and investigated ways of making it even better. This has led to the development of a new model - the DM10. This model incorporates several improvements but follows the same concept as the ADM9 series. Two of the changes are fundamental. There is a new bass/main drive unit with a specially developed cone material. This gives an even cleaner sound than the ADM9 unit. The other change is to the cross over filtration which is now 8th. order. These changes leave most conventional passive loudspeakers even further behind. It is important to remember that this product includes speakers, power amplification, pre-amplification, digital to analogue conversion, remote control and an analogue input as well as two digital ones. Only signal sources need be added. The product is capable of the highest standards of sound reproduction. It is actually impossible to provide a system using today's separates to match the DM10s in performance at or anywhere near the price. What did our first ADM9 customer say? What do our tests show? We have now tested the ADM9.1s extensively and have some very interesting results. Using WAV files derived from CDs, CDs themselves (read on a computer) and transcriptions from analogue material subsequently stored as WAV files on the computer (actually in iTunes) we have noticed that all the results are generally better than we have had before with almost any systems using passive loudspeakers. Only the best separate amplifier/loudspeaker systems come close. There are new levels of clarity, detail and resolution in all cases. Some of our analogue transcriptions are from 1930s program material. Even with this supposedly unchallenging material we are hearing more than with almost any previous replay system (including the original ADM9s as well as the various separates systems) and with very few exceptions. This begs the questions (1) What was holding the performance back previously? (2) If previous replay chains were having this effect on 1930s material what are the implications for modern material? Clearly we need to take a critical look at passive loudspeakers. We have no doubt that the ADM9.1s represent a significant step forwards in audio engineering as well as providing huge utility with modern digital sources and libraries. How do ADM9s (now DM10s) manage to be so good? To understand this it helps to consider conventional passive loudspeakers first. However good the drive units used the performance is always compromised to some degree by the cross over network (or networks in a three way system). The steepness of cut off is such that for some distance, often an octave or more, either side of the nominal cross over frequency musical notes are trying to get out of both drive units. Cross over components generate phase shifts referred to the frequency of each component of the signal. Correcting for these shifts by time delay is a non starter as the delay required would be frequency dependant. Phase coherence between the outputs of the two drive units is essential. Level issues have to be addressed as well. The components need to be of large value in all cases and the networks complex if these problems are to be addressed reasonably effectively. Even then the loudspeaker system is likely to be a complex and difficult load for any amplifier called upon to drive it. Often drive units are not effectively controlled giving rise to unstable behaviour and false bass.The whole exercise is one of disaster management, especially so with three way systems where the lower cross over is placed around 200-300 hz. The cross over networks in the most competent two and three way systems are invariably complex and have many components (e.g. LS3/5a, Spendor BC1- both exceptional performers). The ADM9s and DM10s solve the above problems by using a different approach. Each of the two drive units is connected directly to a dedicated, state of the art, power amplifier. Each amplifier only has to drive one unit of known properties i.e. known impedance and not a difficult load. The dividing network comes before the two power amplifiers. It is active and uses smaller and more manageable components. A steep cut off is achieved and phase and level issues are addressed more easily. In addittion, the ADM9s and DM10s have built in digital to analogue conversion (DAC), two digital (SPDIF optical) inputs, one line level analogue input and pre-amplification. There are remote control of volume and input selection. The ADM9s and DM10s are each a winning combination which provides real engineering progress in sound reproduction, user friendliness with the modern ways of music library management, a great saving in the number of boxes and amount of cabling, and last but not least a great cost saving compared with other new equipment. A point often missed with ADM9s is that they do not have to be used with digital signals. The analogue input may be used alone, still providing amplification with remote control volume and loudpeakers in one pair of boxes. A phono stage or even a complete pre-amplifier may be plugged into the analogue input. ADM9s are cost effective even for an analogue only system. We can now supply an entry level record cleaning machine which nevertheless uses the fluid/brush/vacuum off system. It is made by Project and costs only £349. It is a very cost effective accessory for the vinyl revolution currently under way. Increasingly we are being asked to do this work on vintage record players and radiograms. Our resources include facilities for restoring wooden cabinets as well as the contents. We are happy to recommend and supply this product. The build quality is very good and the price is low for the performance and versatility. Our tests show that the performance is excellent and easily exceeds the "good enough" requirement. First upgraded to UA-25EX, the latest version is "Quad Capture" UA-55. 1. Don't do it at all without a good reason. It is time consuming and often the music is available from other sources. 2. Because it's time consuming it is only worth doing if it is done well. a) The record playing part is unable to play the records well enough. b) For the best results the levels need to be controlled in the analogue domain in order to balance the channels where necessary (as in mono) and to make full use of the available digital resolution. 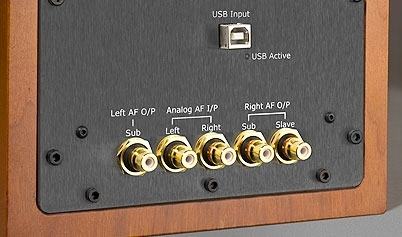 c) The ADC device (analogue to digital converter) included in the record player might not be good enough. 4. A good record player is a necessity, just as when listening only. This does not mean it has to be a new and expensive one. A classic which is well set up will do. e) The software "Audacity" which is free and excellent for editing and repairs. f ) "iTunes", which is also free, for final storage. 6. It is our experience that especially with older recordings the version on an LP is often the best available. This is nothing to do with LP v. CD as a contest per se (what is being stored is more relevant than the storage medium). It is because the old recordings and mastering were competent whereas when the same material is re-issued on CD the results are sabotaged by incompetent transcription and mastering. This is very common and when we burn CDs from our digitized LP files we often find that ours are better than the ones which are available commercially. 7. We recommend using WAV files for digital storage or if not WAVs one of the other uncompressed formats. There is no case today for using data compression to save cost because storage space is now so cheap. Slightly compressed formats (e.g. 256kbit AACs) are indistinguishable from uncompressed formats on straight listening but are not suitable for subsequent processing. So there it is, use WAVs (or equivalent) and use 16bit/44.1. The latter is CD specification and also what "LP Recorder" uses. Start with clean undamaged records and you'll be amazed by the quality of the files you create and the CDs you can make from them. Two issues are commonly overlooked. One is that new records are often contaminated with mold release agent and consequently benefit from cleaning before use. The other is that many of the alternative systems risk re-contamination of the record whereas the Keith Monks system removes the dirty fluid completely. A Keith Monks record cleaning machine may be regarded as a useful and significant upgrade to a record playing system and one that costs less than some of the many others on offer. We supply the machines, the consumables and the spares.The classic industry standard professional machine is £3995 inc. VAT. This is illustrated below. STOP PRESS: Two new models have been introduced. The new models are intended for serious home use. They clean just as well and just as quietly as the pro machine but take longer. They come at aroud half the price of the pro model.Details to follow. We have an in house record cleaning facility which uses our Keth Monks pro machine. This service is available by arrangement. 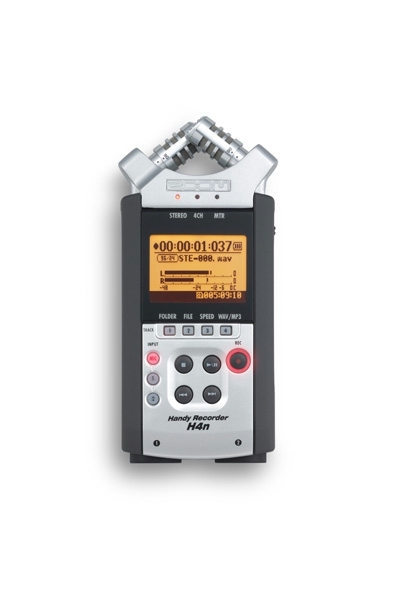 This is a totally modern recording device which replaces a tape recorder and microphones. It can make high resolution files up to 24 bit/96 kHz. Other formats are included as standard notably 16 bit/44.1 kHz (CD specification). It has built in condenser microphones for making high quality X/Y stereo recordings. It has connections for external microphones and line level sources. It may be mounted on a tripod or .microphone stand. All that and it fits into a pocket. 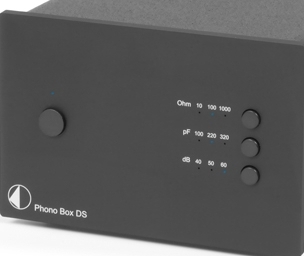 Project has a new and updated range of phono pre-amplifiers from £49 to £599. These and other Project products will be added to our site shortly. All Project items may be ordered through us. Moving magnet and moving coil with selectable input matching. Just announced is a new model from Project. The Classic at £899. This is a high performance passive loudspeaker which is slightly larger and more capable than the Neutron 4 which it replaces. As a bonus, it is cheaper at £399. The Neutron 5 is now sold out at the factory. Our remaining stock has been sold too. Neutron 5 in piano black. 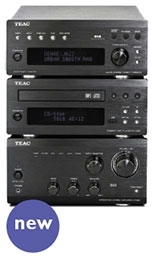 Teac is well known for the quality of its hi-fi products and also makes TASCAM professional sound equipment. We particularly like and strongly recommend the products shown below. 380 Series. This is a very capable separates based system at a price where it still makes sense to recommend separates systems. It is compact with a width of only 215mm. (8.5 inches). A-H380 Amplifier. 2 x 45 watts. 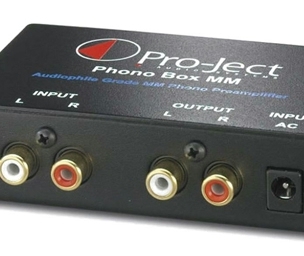 6 inputs (phono, tuner, CD, iPod, USB, Aux.). Remote control. T-H380DNT Tuner. DAB, FM, AM, Internet radio. PD-H380 CD Player. USB port for MP3/WMA. This range is now superseded by new models. This part of our site will be updated shortly. CR-H258. This is a new compact "shoe box" system available from October 2009 onwards. It replaces CR-H257i and CR-H255. It has CD player and tuner (DAB, FM, AM). It has a USB socket and will receive an iPod dock (optional extra). Finish black. There has been a revolution in the ways music is sourced and stored. Music can be stored in a library on a computer and selections can be taken away on an iPod. Play lists can be assembled at the click of a mouse. Music can be downloaded from internet sites and with care the sound quality can be very good. Music can be streamed in real time. Never before has so much music been so readily available. This seems to have broadened interest in h-fi and also caused a subtle change of focus even among audiophiles. Here there is a little less preocupation with frontier pushing audio engineering and more interest in and excitement about the music. There are more people enjoying more music from more sources than ever before. Even discriminating (sound quality) listeners are asking that their equipment should be simply good enough and free of offensive vices. By "good enough" we mean a standard beyond which further improvement is redundant - a standard which is sufficient to maximize musical enjoyment of the material to be played or at least most of it.This varies from person to person and application to application and there will always be people who want "state of the art" systems providing reserves of performance for those occasions when superb material is available. Suffice is to say that we operate between good enough and best possible (probably). The equipment and the ancillaries we supply cover this range. The changes taking place now are so fundamental as to be reminiscent of 1972/73 when calculators replaced slide rules. We have no doubt that the trend is to have a computer (or other digital source) as the heart of a hi-fi system. The utility of doing this is so great that to oppose this flow is to enter Canute territory. Parts of the hi-fi industry have been taken by surprise with the result that there is a lot of finished stock which is no longer what people want and which will be difficult to sell even if heavily discounted. FM tuners (because of DAB and on line radio), DAB tuners (because of on line radio), stand alone CD players (many cost more than a computer - even a laptop - plus a first class DAC), pre-amplifiers (the volume control can be replaced by computer software and sometimes input selection is not needed) and cassette decks (obsolete technology, archival use only) have all been affected. Power amplifiers and loudspeakers continue to be essential and the great survivor is, of course, the record player. Not bad for technology which goes back to the 1950s (if you think LPs) or the 1890s (if you think Emile Berliner and the first gramophone records). What is also clear is that using resources, materials and space more sparingly and less wastefully are now issues with hi-fi equipment buyers. The spirit of the times, perhaps. The new technologies reduce the number of separate items required. The latest development has been a strong increase in interest in playing records. Classic and vintage equipment equipment continues to grow in popularity. Perhaps there is a reaction to the latest technology. Sometimes the best way forwards is backwards. (1)ANALOGUE IS BETTER THAN DIGITAL? It can be. It doesn't have to be. It's a question of implementation. We have made live recordings on an open reel tape recorder which have been at least very good and which some listeners have described as better than any CD or LP they have ever heard. We have converted these recordings very competently to digital files using both 16 bit/44.1 (CD parameters) and also 24bit/96. The latter gave results, when converted back to analogue, which were indistinguishable from the master tape. The former gave results which were difficult to distinguish from the master tape. We concluded that for most purposes for most people for most of the time correctly and fully implemented CD was good enough. We also concluded that many commercial CDs do not even fully exploit the 16bit/44.1 parameters and are compromised by earlier inadequacies in the process of creating them.We would have no hesitation in making important live recordings directly to digital files using 24bit/96. The sound quality following conversion would be just as good as an analogue recording but would have better signal to noise ratio and wider dynamic range. It's worth remembering that almost all fresh program material is either supplied in digital format or has involved digital stages in its production or both. There are, of course, enthusiasts who use program material simply as a test medium for equipment. Generally it's the other way round. Most people simply want to enjoy the music in which case replay requirements are driven by available program material and media. The whole issue of analogue v digital is not always understood. Any sound reproduction procedure for a real acoustic event starts with analogue (the event) and ends with analogue (the listening). Consider a performance in a studio and the analogue signal relayed via cable of uncompromised quality to a reference grade amplifier and reference grade loudspeakers in a listening room. The results would represent best achievable sound reproduction. Now consider insertion in the line of digital encoding and decoding. Even with a very high sampling rate and a large number of bits the result cannot be an improvement - but it can be indistinguishable if tested by listening. So far analogue seems to be ahead but this is only for a system as described. The real contest lies elsewhere. If the digital signal from the studio were stored then there need be no further degradation. The problems with analogue material are in storage (recording), transcription, transmission and distribution. In all these areas the analogue signal is vulnerable to degradation so in practice digital wins hands down - given adequate implementation.The sooner the precious, vulnerable, analogue signal reaches the safety of a digital file the better. Putting it another way, analogue cannot be replicated without degradation whereas a digital file can. (2)VINYL IS BETTER THAN CD? This is a complex issue which is clouded by a lot of silly chauvinism from the self styled champions of both media. The following is our view. All our tests and experiments indicate that a 16bit/44.1 digital file is sufficient for storing music so that the analogue sound can be recreated to a totally satisfactory standard using modern DACs. A higher specification for the digital file is redundant or nearly so. This implies that in principle a CD (being merely a portable device for carrying the data and using 16bit/44.1) is all that is needed. In practice it is not quite so simple. It seems there is mounting evidence that CDs are sometimes corrupted in manufacture so that reconstituting the intended digital file becomes difficult. Conventional CD players are not as good at doing this as computers. In such cases it seems that better results can be obtained by re-writing to a CD-R using a computer and then playing that disk in the CD player (or replaying from the music library) following importation. There is some logic to this. Computers have to make bit for bit copies and will retry a disk at high speed until they get it right and have loads of processing power with which to do it. If this problem is real, and we suspect it is, then CD playing on a stand alone CD player is handicapped. There is a spectrum of performance available from CD ranging from badly recorded/badly mastered/badly manufactured/badly read to well recorded/well mastered/well manufactured/well read and this is without considering the quality of the DAC. Modern DACs are generally good to excellent and should not be an issue. It is worth emphasizing that the inadequacies of 16bit/44.1 (negligible) and the inadequacies of CD are not the same thing. One of the reasons for aquiring files with higher bit rates (which are becoming more available) is to avoid CD problems rather than for the higher resolution per se. If everything is right with CD all the way through to the 16bit/44.1 file then it is a hard act to follow and certainly good enough. 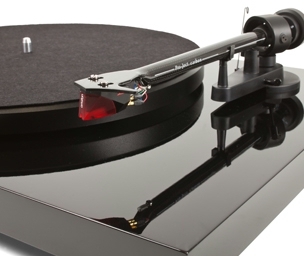 The record player/vinyl LP system is today an extremely refined version of a very old technology. The system is vulnerable to distortion and colouration from start to finish as well as inconvenient in use. Speed stability (under varying load!) and rumble have to be addressed.The performance decreases towards the centre of the record because of the reducing writing speed and always the frequency response has to be distorted on both record and replay (RIAA). The primary reason for doing this is to increase the playing time per side by de-emphasizing the low frequencies so that the groove spacing can be reduced. Because the higher frequencies have smaller amplitudes anyway (for constant signal level amplitude falls with rising frequency) it is possible also to improve the signal to noise ratio by pre-emphasizing the high frequencies. The very fact that different top quaIity record players do not sound the same as each other is clear evidence that we are dealing with a flawed medium. It is actually impossible to get a truly clean sound off a record player. A moment's thought about the steps involved in the process should make this obvious. Nevertheless, very good and sometimes astounding results are possible. The system is good at recording and reproducing fine and subtle detail but poor on signal to noise ratio and dynamic range. Despite the inherent disadvantages in the system, the distortion and colouration need not be catastrophic (see 9 below) and a very good euphonious sound is possible. Under contrived and exceptional circumstances it is just possible for an LP system to compete with a fully implemented CD (and easily beat a CD which is poorly implemented) but the virtue balance might be different. The LP system will have at least a trace of colouration. It is no surprise that the sound from an LP when everything is right is preferred to the sound from a CD when the latter is sabotaged by being poorly made or poorly read. We are well aware that some listeners prefer vinyl or even judge it to be more accurate and realistic than good CD. The explanation for this lies in the realms of psycho-acoustics and physiology rather than audio engineering (see 9 below).A well known blind test was conducted some years ago where a master tape was compared with an LP made from the same master tape and played on a well known record player of the day. Many of the listeners thought the latter was better! 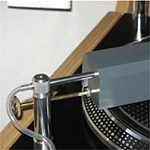 Exceptionally, then, a top grade LP played on a top grade record player can compete with competent CD on perceived sound quality - though not on signal to noise ratio, dynamic range or freedom from colouration. This is not, however, the norm and is in the realms of laboratory experiment. For reassurance we ran tests similar to (1) above where we took the signal from a very good record player and very good LP and created digital files in 16bit/44.1 and 24bit/96. The conclusion was the same as in (1) i.e on re-conversion there was no discernable difference with 24bit/96 and precious little with 16bit/44.1 - when compared with listening directly to the LP. The first implication is that no program material should be inadequately reproduced just because it has been encoded and stored digitally. We think any audio analogue signal, however pleasing and for whatever reason it pleases, can be encoded and decoded so that the listener is unable to tell the difference.The second implication is that the extra performance from 24bit/96 does not bring a significant improvement. This brings the conclusion that even if vinyl could beat CD there would not be any useful ground to occupy. CD on a good day (i.e. perfect 16bit/44.1 file) is good enough. Getting the best possible results from vinyl is expensive and difficult. It costs thousands, not hundreds, if the equipment is bought new. Most people are interested in what can be achieved easily and cost effectively rather than in proving points and winning contests. What we can say is that a good LP played on a good record player will produce results which are wholly acceptable i.e. "good enough". 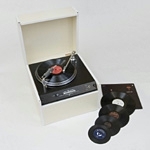 The present trend is for record players (LP and 78RPM) to become retrieval devices used for transcribing records to computer libraries. It is very interesting to see the way attitudes change when LPs are transcribed to a computer library. Suddenly presentation is an issue. Given good sound quality, the priorities become avoiding noises at the start and finish, dealing with dirt and damage and considerations of rumble and recorded hum. What is the importance of this contest between vinyl and CD? Ultimately none at all. The equipment used is surely dictated by the medium carrying the music so you just give it your best shot in either case. Today both media are becoming no more than transit camps en route to a digitally stored music library on a computer. (3)OPEN REEL TAPE RECORDERS GIVE THE BEST RESULTS? A very good tape recorder which is very well aligned is capable of recordings which are good enough for just about any application. Although a bit challenged in respect of signal/noise ratio and dynamic range the limitations are less than many suppose. Even so, a digital recording system using 24bit/96 or better will come out ahead. The older technique is a huge achievement in inter-disciplinary engineering. The new technique is simple and cheap once the chip designers have done their job. Both systems have enough in reserve to be used to create fully implemented CDs - a standard sufficient for most end users. (4)DAB IS NO GOOD AND WORSE THAN FM? Implementation again but not much of an issue now with so much broadcast material available on broadband. We believe DAB is capable of good results but a good tuner is essential together with a high bit rate broadcast. Almost all program material is handled digitally by the broadcasters before transmission whether this is by DAB or FM. All the feed back we have had from DAB users with AVI tuners has been very positive.The number of stations is much greater with DAB than with FM. It now looks like FM might not be switched off for a while. Nevertheless, with DAB providing more stations and sound quality sometimes about as good as today's FM it seems radio listeners are better served by DAB - given a good tuner. If FM does not offer so many stations and the sound quality from today's FM is not significantly better than DAB then it would be a mistake to buy an expensive FM tuner especially as FM might be switched of in a few years time. We stress "today's" because we think FM is not as good as it could be or used to be. With the availability of on line broadcasting all this is becoming history. 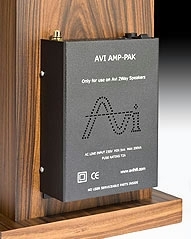 Significantly, the AVI tuner is now discontinued..
(5)IT'S WORTH SPENDING A FORTUNE ON CABLES? No it isn't. The cables need only be competent. Interconnect cables first. Interconnect cables are a necessary evil whenever hi-fi separates are used. Most published cable tests are not done with reference grade equipment and lack scientific method - there is no control. The control should be no cables at all i.e. the two pieces of equipment should be plugged directly together. Any cable which changes the sound is then revealed as defective i.e. introducing distortion. Most tests simply arrange cables in order of preference. If all the tested cables give results which sound differently from each other then either only one cable is acceptable or none of them is acceptable. We think some of the "exotic" cables are actually functioning as tone controls or filters and possibly masking the vices of defective electronics. Another issue rarely covered is that the demand on connecting cables depends on the relationship between the source impedance and the load impedance i.e. the demand on the cable depends on the actual items connected together. A low source impedance on the output of the sender feeding into a much higher impedance on the input of the destination component (typical of AVI) means mainly voltage transfer and little current flow hence less demand on the cable and connections. With less difference between source and load impedance there is more current and less voltage transfer hence more demand on the cable and connections. Suffice is to say we are generally happy with cables costing tens of pounds rather than hundreds. We believe these satisfy the competence requirement. The advice which recommends spending 10% of system budget on cables is nonsense. Our much praised analogue recordings were made using £2 per metre studio microphone cable and played back using different £2 per metre cable from the tape recorder to the amplifier. The results were generally considered to be exceptionally good. How then could the degradations present in more commonly available program material be reversed by selecting expensive cables? Nor is it possible to remove the defects from a bad system by cable selection alone. "Re-arranging the deck chairs on the Titanic" springs to mind. Signal cables do need to be well made with good terminations. They do need to be immune from work hardening of the conductors with repeated flexure. The insulation and dielectric materials need to have long term stability. High purity of the conductors and immunity from corrosion are necessary. A pair of interconnect cables to meet all our requirements does not need to cost hundreds of pounds. It is, of course, essential that all mechanical electrical connectors e.g. plugs and sockets should be clean and make good contact. It's not a good idea to create unwanted diodes/rectifiers/resistors. Loudspeaker circuits are low voltage high current things. The resistance/impedance values involved are just a few ohms so it is obvious that cables of very low resistance are required. We recommend multi-filament cables with plenty of cross sectional area and high copper purity. We believe this requirement can be met for around £3 per metre for cables of modest length (the longer the cable the heavier it needs to be). There is some empirical evidence that the dialectric material (insulation) used has some influence on the results. Even on an extravagant "peace of mind" basis about £20 per metre is the upper limit of our recommendations. More expensive "exotic" cables are in the area of interesting experiment and are likely to be a waste of resources. Again with expensive exotic cables there is a risk of buying tone controls and filters - not the right way to go. We are happy to use £3 per metre cables when playing our best program material. With active loudspeakers (amplifiers and loudspeakers combined as one piece units) loudspeaker cable is not an issue as there isn't any. Well designed and built valve amplifiers are undoubtedly capable of first rate sound quality. The problem is that they are not always sufficiently powerful for the job in hand. Sometimes powers of around 100 watts are demanded, sometimes unnecesarily or misguidedly but nevertheless demanded . If valve amplifiers were to be this powerful they would not be cost effective. Valve amplifier design peaked more than half a century ago. Designs have hardly progressed at all although modern resistors and capacitors are much better. So much depends on the excellence of the output transformer, that is its design and its execution. This is typically the most expensive component and something of a challenge (both then and now) and it needs to be scaled up in size (and cost) with the power output specified. On the issue of power there really is no scope for argument as measurements can be taken. There are few if any serious high fidelity loudspeakers with efficiencies (sensitivities) significantly above so called average. If modern digitally sourced program material of wide dynamic range is played to a robust sound level using a powerful amplifier then the loudspeakers can often demand 100 watts to accomodate the peaks in the signal. This is beyond the capabilities of most valve amplifiers. This problem also leads to catastrophic degradation in sound quality with over stretched solid state amplifiers where the users mistakenly think they are sufficiently powerful (the perceived differences between small transistor amplifiers are often due to differences in overload behaviour). There are two reasons for needing plenty of power with a transistor amplifier. One is to make sure there is enough power to give the required sound pressure levels. 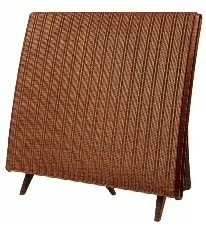 The other is to have sufficient head room to be sure the amplifier is never pushed outside its operating envelope ( i.e. distortion thresholds are never crossed) as the consequences are catastrophic. Valve amplifiers are more forgiving. If driven too hard they tend to be self limiting (soft clipping) and the distortion valve amplifiers produce tends to be harmonic which is not especially unpleasant and even harmonics are often perceived as pleasant. Nevertheless, we are still talking about distortion. In practice a transistor amplifier needs a safety margin in power rating compared with a valve amplifier doing the same job. Valve amplifiers are, of course, less challenged by record players where the maximum possible dynamic range is less than with CD or other modern digital material. Also, perceived loudness does not have a linear correlation with the amplifier power in use.Twice the power does not make the system sound twice as loud or anywhere near it. The difference is 3db. The smallest discernable change in volume is 1db. This equates to an upward change in power of 25% or a downward change of 20%. Bearing in mind the foregoing, a 15 watt valve amplifier can be quite useful. Putting that into perspective, a 150 watt system would be 10db louder (i.e. ten times the sound pressure level) but would not be perceived as 10 times louder by a listener. Hearing is logarithmic. Most listeners would reckon that around a five fold increase in level is required to make the sound seem twice as loud. In practice the amount of power required from an amplifier depends on the efficiency of the loudspeakers, the scale of reproduction required and the dynamic range to be accomodated. In use the difference between 10 watts and 100 watts is much less than people think. It's quite possible that if 10 watts won't do the job 100 watts won't either. Most of us have been exposed to discos or big bands with sound reinforcement where the sound quality is appauling. This is commonly due to insufficient amplifier power for the exceptionally high sound pressure levels they (perhaps mistakenly) want. Applications like this using loudspeakers of normal efficiency (and hopefully sufficient power handling) can easily need more than 1000 watts of amplifier power. From the above it follows that while it's nice to have plenty of amplifier power it's crucial to look at what one actually has and make sure that the distortion threshold is never crossed. This is especially important with solid state amplifiers. Remember an increase in dynamic range from 60 db to 80 db requires 100 times as much power! In practical use there is no significant difference between 50 and 100 watts provided there is no distortion threshold between the two. It is actually difficult to tell the difference between good amplifiers, including between valve and solid state, PROVIDED EACH AMPLIFIER UNDER TEST IS KEPT WITHIN ITS OPERATING ENVELOPE BOTH IN RESPECT OF POWER AND BAND WIDTH. 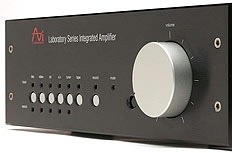 AVI solid state amplifiers (now only available second hand) provide sound quality which is as good as the best valve amplifiers but with plenty of power for domestic applications and more. They are also much more cost effective. Today valve amplifiers have limited utilitarian value outside the audiophile arena and perhaps the musical instrument arena (i.e. rock groups etc.). Otherwise they are now the province of audio engineering historians and retro minded enthusiasts. This does not mean that valve circuits outside the power amplification arena are of no utility at all. Our reference grade tape recorder is full of them. It works rather well but it has to be admitted that such devices are not in widespread use today. (7)GOOD CD PLAYERS HAVE TO COST THOUSANDS? This is an area where consumers are especially vulnerable. It's worth explaining what is involved in playing a CD. A CD is simply a convenient device for moving around digital files. It is not like a cassette or LP both of which carry an analogue of the music which can be replayed in real time. The CD is put into a disc reader which reads the digits in packets and stores them temporarily in a buffer after which they are passed on to a digital to analogue converter (DAC). There's filtering out of spuriae and a bit of analogue amplifation to give the required output level and that's about it although component choice, power supplies and circuit layout are issues. There is a timing issue when decoding CDs. This is to do with the spacing of the digits (jitter). The necessary reference clocking is now done very well by high quality standard chips making special custom devices unnecessary. There is no justification for CD players costing thousands and players such as the AVI one was on the limit for a state of the art machine. There is a huge amount of charlatanism and deceipt in this sector. We heard recently of a customer who bought a £3000 supposed audiophile machine (not AVI!) and then bought an £80 machine from a well known supermarket and found it to be better. Today it looks like CD players are not even the best devices for playing CDs (see (2) above). (8)COMPUTERS AND IPODS HAVE NO USE IN HI-FI? It is a simple matter to replicate the CD playing proceedure in (7) using a computer and a computer can even store the file for further use. Ordinary low cost consumer grade computers usually need a sound card upgrade (£50 - £150) to reach the standard of a good CD player. Alternatively an external DAC may be used. Music libraries can be created on computers ("iTunes" is very good software for this purpose - and it's free). Even LPs can be put into the library as digital files ("LP Recorder" is very good software for this). Files can be copied to an iPod for remote use. The iPod can also be connected to a hi-fi system and if "lossless" files are used the results are very good. If the library is stored on a lap top computer and wireless transmission of the signal is available then any track in the library can be played through the hi-fi system without wires and (apart from size) the computer does the job of an iPod as well. This whole area is currently very active and computers are undoubtedly here to stay in h-ifi sytems.The conventional hi-fi industry is now under very heavy attack from the computer industry. This is a change we welcome. We hope that the charlatans and mountebanks who abound in the hi-fi industry will be purged for ever leaving the honest engineering based companies to prosper. (9)WHAT IS PERFECT SOUND REPRODUCTION? WHAT ABOUT DISTORTION? To define this we need something akin to the Turing Test for artificial intelligence (person in one room is having a dialogue with a computer in another room and cannot tell whether he is talking to a computer or a real person). Here it is: Perfect sound reproduction occurs when a blindfolded person cannot tell the difference between the reproduced sound and the real acoustic event. Very difficult to achieve but at least it indicates what to aim for. We are well aware that some listeners like the replay chain to modify the sound. Perhaps they find real musical instruments too bright or enjoy warm colouration and sometimes even greater distortions. These are requirements we cannot address as they diverge from our goal of providing accurate realistic reproduction. We don't see the replay system as a musical instrument but rather as a "silent witness" which neither adds to nor subtracts from the sound. We are about sound reproduction, not sound production. We find that most listeners like clean, clear, realistic sound reproduction when they hear it. The term "distortion" means little unless the type of distortion is specified. There are many types of distortion which vary greatly in the damage they do. Two common types are examples of the differences in consequences. Harmonic distortion is relatively benign and is not catastrophic up to a few percent. Intermodulation distortion is catastrophic in tiny quantities. Few people realize that the analogue tape recording system has about 2% harmonic distortion at full modulation yet master tapes are generally held in very high regard. We are very interested in the ways people judge sound reproduction for accuracy and realism. We are not talking about conscious preferance for a degraded sound just about judging what is right. The human senses involve receptors or transducers followed by interpretation in the brain. These systems are more interested in differences (i.e. changes) than absolutes and use stored models for reference. All this makes the senses systems less than wholly reliable. Optical illusions are well known. Colour perception depends on the environment in which the colour is observed. We suspect that judgements about sound are affected by the auditioning environment (not meaning the acoustic environment) as well as by the stored reference models. The blindfold in the first paragraph matters. This is perhaps a fruitful area for scientific investigation. There is also the common negative reaction to anything new. Different tends to be percieved as different worse rather than different better. Many listeners are excessively loyal to existing systems which to an outsider are obviously distorted. To some people (not many) a truly clean sound comes as something of a shock, provoking instant rejection. These phenomena might go some way towards explaining why some listeners in a domestic environment perceive a truly accurate digitally sourced sound as too "raw" and the coloured sound from a record player as accurate. Some program material suppliers use a "sweetening" process. Typically this involves an analogue stage which adds a little euphonious coloration and "softens" the sound. This is commercial expediency at work. We can't over-emphasize the utility of the "good enough" concept. This enables the listener to enjoy a very wide range of program material without anxieties about whether further improvements in sound quality are available or needed. Chronic anxiety about sound quality makes the listener easy prey to the excesses of the hi-fi industry. We are not always good judges of reproduced sound quality and the placebo effect is very powerful. So is cognitive bias. (10)WHAT'S IT ALL ABOUT ANYWAY? We think it's about enjoying music. High quality sound reproduction increases the enjoyment. It's as simple as that. The equipment we supply (and ancillaries we recommend) amply covers these requirements and we can offer whatever level of user convenience is needed or wanted. For general use we don't think it's very productive to have a competition for the best replay medium in respect of sound quality. If CD is the source a CD playing facility is needed. If LPs are the source a record player is needed. If DAB a tuner is needed. If tape a tape player. 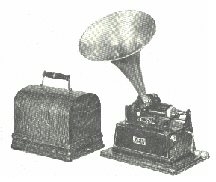 If a cylinder a phonograph. If the internet a computer or equivalent. We think pushing the frontiers to achieve further progress is best left to the engineers. That's what the creators of the program material do. They are simply consumers of technology trying to be commercially successful. It is a self evident truth that with the more capable storage/replay media the limiting factor is often the original recording (including any processing) rather than the reply chain - if the latter is of first class quality. WHAT MIGHT A MODERN SYSTEM BE LIKE? It depends on the facilities required and the starting point. It also depends on personal judgements about cost versus benefit. One man's luxury is another man's necessity. At one end of the scale a person who has no system at all and no interest in records (i.e. 33s,45s,78s) or radio (and this is changing with on line radio) might choose to have a music library stored on a lap top computer and a wireless link to active loudspeakers. He would obtain his program material from CDs and the internet and can manage without a pre-amp (volume being controlled by the built in volume control on ADM9s). In other words put a pair of AVI active loudspeakers with a computer and you've got a hi-fi system. An LP enthusiast would simply need to add a phono stage and a record player. Such a system may be easily developed as a universal media centre. Someone who already has a comprehensive system might simply wish to add the convenience of a music library. A computer based library can be used with any system. Just add an Edirol unit (see above) or a DAC (which need not be expensive). At the other end a person might have a large collection of LPs and CDs and not even want to think about computers, digits and the internet. Such a person might choose a "conventional" system using state of the art components - CD player, record player, amplifier, loudspeakers - and enjoy very good sound quality. Such components are not necessarily new. Classic and vintage products have a large part to play here. It has to be said that the availability of cost effective new hi-fi separates is now somewhat limited. (See the section above on classic and vintage hi-fi). With the AVI ADM9s (soon to be DM10s) it has become possible to put together a comprehensive system with very few components - just computer, record player, phono stage and ADM9s. Such a system is also a multi-media facility as the computer with its associated video display may also be used for DVDs, TV, BBC iPlayer etc. A leading edge enthusiast's system could well be: ADM9s, a Sub Woofer (if needed), a computer and a raft of devices for retrieving archival material - record player, cassette deck, open reel tape recorder etc. With the resurgence of interest in vinyl its worth pointing out that a pair of ADM9s with a good phone stage and a good record player makes a good minimalist dedicated system for record playing. Equally it's possible to make a strong argument in favour of a conventional system which uses classic products with the addition of a DAC to accommodate digital sources. Such a system would have much more capability where archival sources are involved. We have a secure courier service which covers just about every country in the world. Please send an e-mail (or FAX or telephone call) with your inquiry and we will reply with a quotation and details of payment methods etc. Importing from us is really very straightforward. Please note that the list below is given for the sake of historical record and reference. Most of of the products are now discontinued in favour of the ADM9 series. OUR ADDRESS : Five Ways Hi-Fidelity Ltd., 103 Grove Lane, Harborne, Birmingham B17 0QT, United Kingdom.